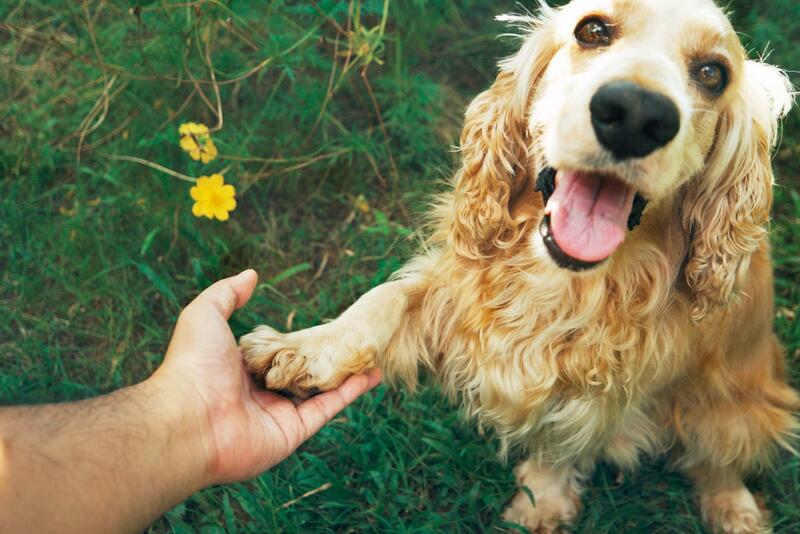 Playful, intelligent, adorable: the American Cocker Spaniel is the epitome of a family dog. Before adopting a new family member, however, potential owners should investigate the breed's specific characteristics in order to find the perfect faithful friend. Originally bred in Europe to hunt woodcock, the "Cocker" is now a popular family pet. There are two distinct types of Cocker Spaniel - English and American. While both varieties originated from the same background, they are recognized as different breeds. The primary differences between English and American cockers are physical: the American Cocker has a shorter snout, longer neck, more luxurious coat, and is a slightly taller animal with a shorter back. Every dog breed has distinct characteristics used to judge its perfection in dog shows. While most families are not concerned with the finer points of dog showmanship, knowing specific traits precludes adopting a mixed-breed dog that unscrupulous sellers attempt to pass off as a pure-bred. American Cockers come in three basic colors: solid black, any-solid-color-other-than-black (ASCOB), and multicolored or patchy. The Cocker's medium length coat is slightly wavy, requiring daily brushing and occasional professional grooming. A properly proportioned cocker has a balanced appearance, with a rounded skull; arched neck; compact, sloping body; large, round feet; and a docked tail. The weight of a healthy adult Cocker Spaniel is generally 18-28 pounds, depending on the dog's height and gender. Cockers are lively, friendly dogs that develop a fierce loyalty to their owners. They are merry companions and should be exercised frequently. Their keen intelligence invites games and tricks, and cockers will eagerly play fetching or chasing games and can excel in agility and tracking competitions. Cockers are excellent swimmers, and families should be cautious around unfamiliar bodies of water because cockers are quick to notice floating objects and may plunge in to retrieve them without encouragement. American Cocker Spaniels are generally healthy, but they are prone to several disorders. Closed Tear Ducts: If your pet is tearing a lot, the ducts may need to be opened by a veterinarian. Conjunctivitis: Pink tissue lining the inner surface of the eyelids may become inflamed, particularly if the dog enjoys digging. Disk Herniations: Because of the dog's athleticism, the back must be very flexible and could be susceptible to herniated disks. Ear Problems: Cockers may experience a variety of problems with their long, pendulous ears. Proper cleaning and trimming help minimize these problems. The best way to keep your American Cocker Spaniel healthy is through regular veterinarian visits, vaccinations, and home tooth and ear care. If the dog starts to behave abnormally or exhibits symptoms of discomfort or pain, consult your veterinarian. Once you've decided an American Cocker Spaniel is the breed for you, your options are looking for a reputable breeder to find American Cocker Spaniel puppies for sale. Or you can find an American Cocker Spaniel puppy through a rescue or shelter although you're more likely to find adult dogs this way. 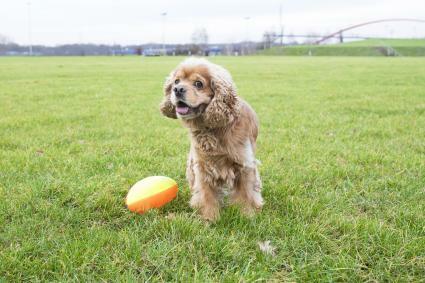 Because American Cocker Spaniels are a popular breed for puppy mills, it's important to research breeders carefully to make sure you are finding a well-bred dog that has been provided the best of care. You should interview your prospective breeder and ask to see their breeding environment and expect that they will quiz you thoroughly in return to make sure you will be a good fit for their dogs. The American Spaniel Club is the national parent club for the breed through the AKC and you can find a directory of breeders on their website. You can check the AKC site to find local dog shows that may have American Cocker Spaniels participating. Speak to their owners to get American Cocker Spaniel breeder recommendations as well as ask your veterinarian and other spaniel owners if they have personal referrals. If you don't want to find an American Cocker Spaniel for sale but would rather find an adult dog that needs a home, there are a few places to start your search. First, contact breeders via the American Spaniel Club website. Many breeders do rescue as well and they may have dogs or know of dogs, that need homes. The American Spaniel Club Foundation website has a list of rescue groups by state that specialize in American Cocker Spaniels. 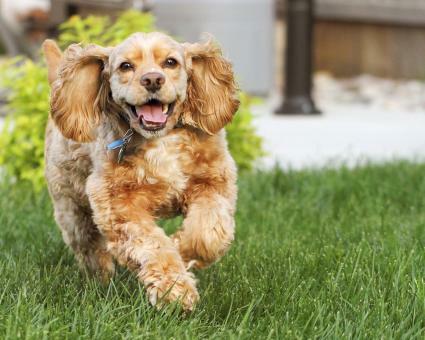 Cocker Spaniel Rescue Services finds homes for Cocker Spaniels and Cocker Spaniel mixes in the midwestern U.S., including Iowa, Minnesota, Missouri, and Wisconsin. Second Chance Cocker Rescue serves dogs and families in the state of California and they both place and take in Cocker Spaniels needing homes. Cocker Spaniel Rescue of New England has been placing Cocker Spaniels in homes since 1987. They focus on placing dogs in the New England region: Maine, Massachusetts, New Hampshire, Vermont, Connecticut, and Rhode Island. Since American Cocker Spaniels are a popular breed, they can be found in rescues and shelters that do not specialize in any one breed. To find dogs local to you, use national websites such as Petfinder and Adopt-a-Pet. Both sites let you search by breed and zip code to find all the listed dogs within a certain search radius. Because of the Cocker's popularity, unscrupulous breeders indiscriminately breed them with little regard for inherent health or temperament problems. In order to choose the best pet, always examine the puppies interacting with one another, their parents, and the people in their lives. It is important that Cocker Spaniel puppies be socialized from a young age: they enjoy companionship and camaraderie and will be happiest around familiar people. Of course, always examine puppies for obvious health problems and ask about their health history before selecting a new family member. Collar: the fit should be secure but not tight with the license firmly attached. Food and water dishes: clean and solid, but not too high or the puppy will not reach them comfortably. Crate: medium or large-sized crates provide a secure, safe place for sleep, help with housebreaking, and are essential for travel. Grooming supplies: brushes, clippers, shampoo, toothpaste, and a dog toothbrush are necessary to keep your Cocker looking its best. Toys: Cockers' curiosity and energy demand plenty of play time, and rope bones, chew toys, and appropriately-sized balls are perfect toys. Beware of small toys that could be swallowed. American Cocker Spaniels are among the most popular dog breeds for family pets in the United States today. Intelligent, loyal, playful, and energetic, Cockers are excellent pets for children and will grow with them into faithful friends making many happy memories. For the first few days of your new Cocker's homecoming, be sure to provide plenty of attention and affection. This bonding ensures a happy, loyal pet for many years.